We have had this Instant Pot Sticky Rice on the website for quite sometime. And somehow this Instant Pot Brown Rice (which I make almost weekly!) never made it up?!? I love making Sticky Rice when we are doing “fakeout takeout” kinds of dinners. But, we eat brown rice more regularly because….very affordable whole grain!!! 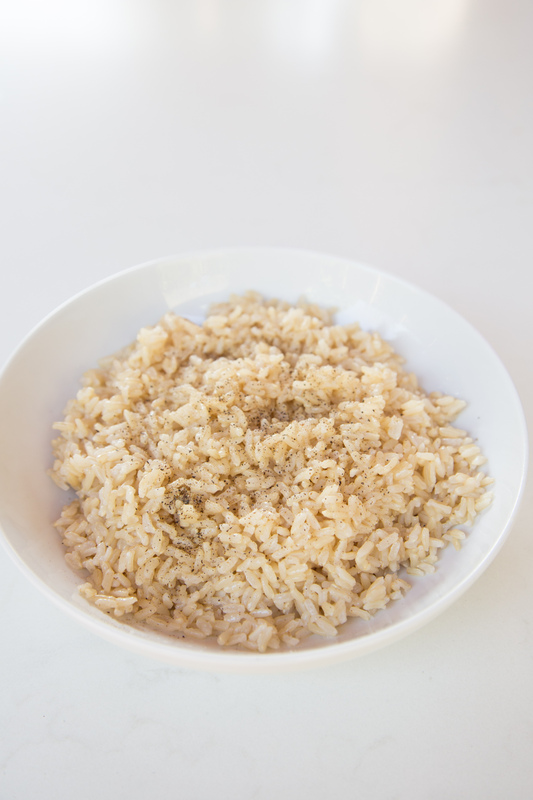 Brown rice can be very very very fussy when making it on the stovetop because it takes upwards of 50-60 minutes to cook through. And to get it just right, you have to keep a close eye on it towards the end of cooking. And you really need to have a certain kind of cookware – heavy, non-stick. Baking brown rice is totally an option (learn how to bake brown rice by tapping here), but sometimes I don’t even have time for that. It cooks in about 22 minutes plus a few minutes for the pressure build and release time. But it’s completely hands off and will be waiting for you to give it a “fluff” after the pressure is released. Perfectly cooked and perfectly fluffy! 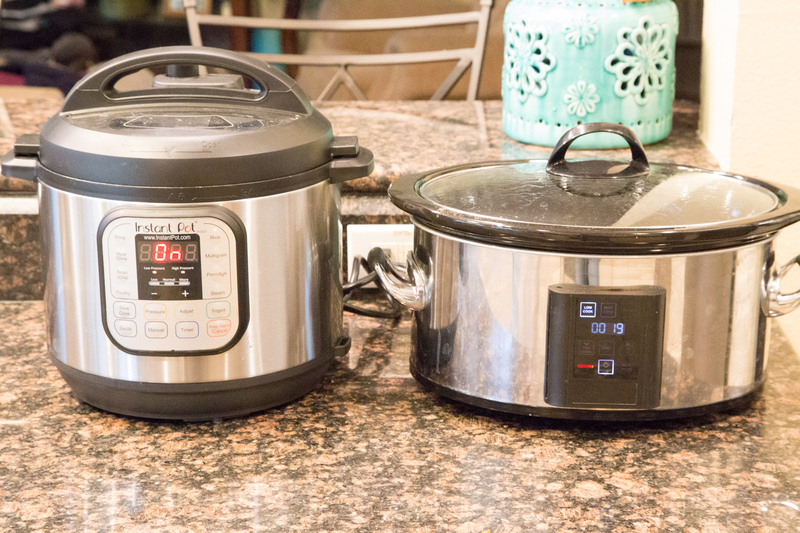 I end up making a meat or main dish in the slow cooker (or even my other Instant Pot), and then I’ll make brown rice or another side dish in the 6 Qt. Instant Pot. It’s uber-important that you rinse off the extra starch from the raw rice kernels before you add it to the Instant Pot. 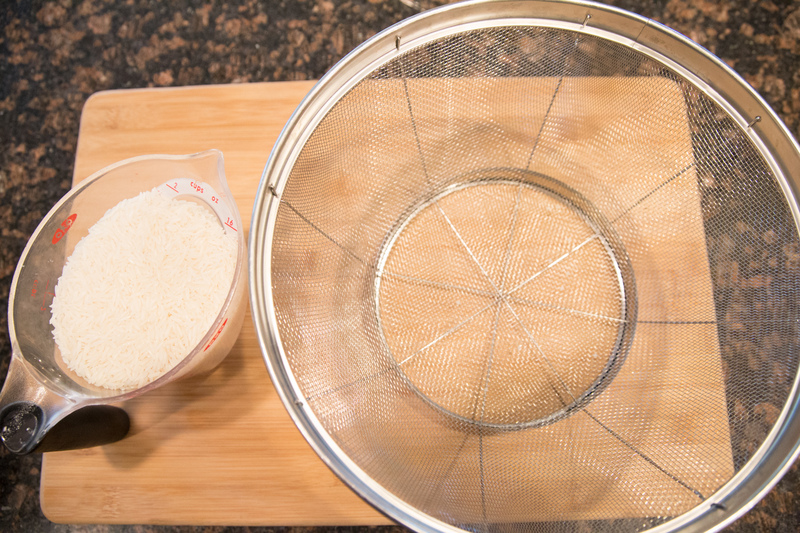 This will help keep it from getting extra mushy and giving you a perfectly cooked rice. The ratio for the water or broth is NOT THE SAME, as if you were making it on the stovetop. You will need less! 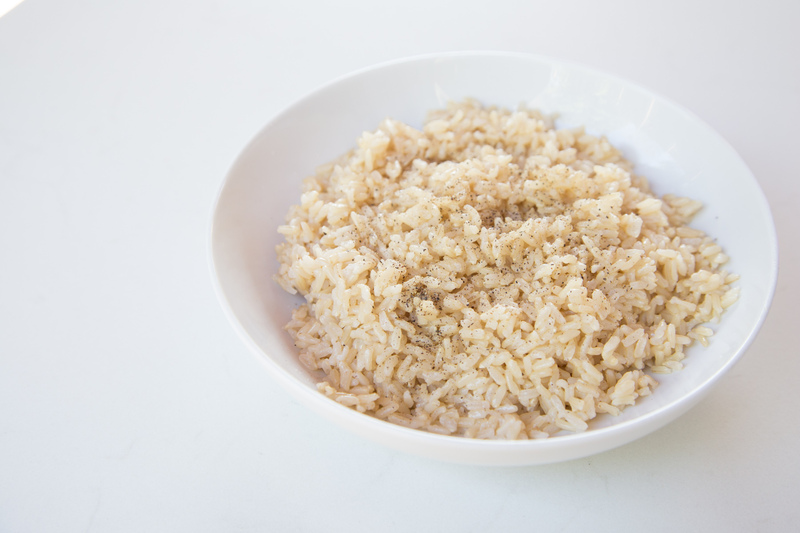 Before we get to the recipe, there are a few ways to “spice things up” with this brown rice. Simple: water – rice – salt and pepper. Broth: broth – rice – salt and pepper. Barely seasoned: water – rice – seasonings like garlic and onion powder or other seasoning blend – salt and pepper. Butter-creamy: broth or water – rice – butter – salt and pepper. Real-creamy: broth or water – rice – butter and heavy cream – salt and pepper. Cheesy: broth or water – rice – shredded cheese – salt and pepper. When making these combos, I highly recommend just cooking the rice with liquid and some salt and pepper, and then stirring in other ingredients once cooked. The heat from the IP insert will melt any butter or cheeses. Rinse the brown rice in warm water in colander. Add the wet brown rice, water, and seasonings into the EPC insert. Set to Sealing. Manual, High, Adjust to 22 minutes. Release: 10-minute Natural Release, then open to Venting. Serve Barely Seasoned Brown Rice as side dish.